Burn MPEG2 videos to DVD/Blu-ray disc/ISO file/DVD Folder. Built-in video editor to crop/trim/rotate/add effcts on MPEG2 videos. Customize DVD menu with 100+ template design and different parameters. Additional tools like Slideshow Maker/DVD to Video/DVD to DVD/One-click Burn. "I have a bunch of MPEG2 files that I would like to watch on my TV, is there any free software out there that lets you burn files to DVDs, so they are viewable on the TV?" You may have the same question as above who asked on the internet. There are so many MPEG2 (i.e. MPEG-2) formatted videos or movies in the market. Maybe you have already had a lot of MPEG2 encoded video files. Well, want to convert MPEG2 to DVD and playback on a standalone DVD player or preservation? If so, you need a professional MPEG2 to DVD converter, Wondershare DVD Creator, for help. MPEG2 is a standard for "the generic coding of moving pictures and associated audio information", one of the official international standards published by MPEG. 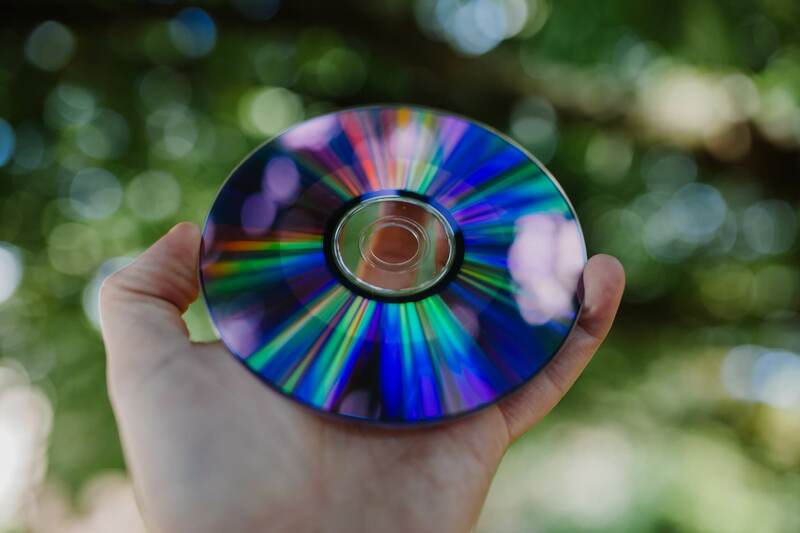 It is widely used as the format of digital television signals and specified the format of movies and other programs that are distributed on DVD and similar discs. Compared with the MPEG1 standard made by Moving Picture Experts Group (MPEG), the MPEG2 standard has higher image quality, more image formats, and image compression standards for transmission rate. 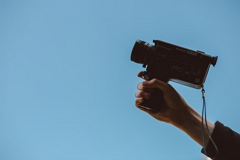 The MPEG2 standard is not a simple upgrade of MPEG1, but a more detailed specification and further improvement in terms of transmission and system. However, MPEG2 is not supported by many famous television like Sony, Samsung, and other Android TV, which really troubled many of us. The best and easiest way to solve this problem is burning MPEG to a DVD and then you can play it on your TV without trouble. As a great MPEG2 to DVD burner, Wondershare DVD Creator can surely satisfy you. It helps you to convert videos in any format including MPEG2/MPEG/MPEG4 to DVD with fast speed and high-quality output. Wondershare DVD Creator can not only burn MPEG2 video to DVD but also make photo slideshow as you like. And with its handy video editing tools, you can feel free to personize your files, say, add background music, picture, cool effects and more. Just in minutes, you will create a professional-looking DVD with the help of this app. · Convert MPEG2/MPEG4/MPG to high-quality DVD/ISO/DVD Folder/Blu-ray Disc and playback on TV. · Additional toolbox helps to burn data disc, ISO to DVD, edit MPEG2 videos, make photo slideshow with music, convert DVD to MPEG2, copy DVD to DVD, etc. · Customize DVD menu with different parameters like title, music, picture, and more. · Select DVD menu template for your MPEG2 from 100+ free static and dynamic templates with Sport, Family Life, Movie theme. 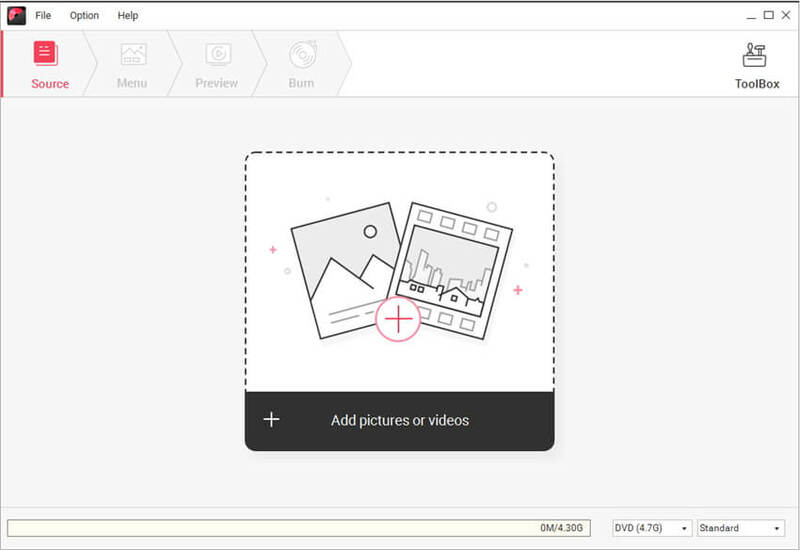 · Built-in editor to personalize MPEG2 videos by Trim, Crop, Effects, Subtitles, etc. 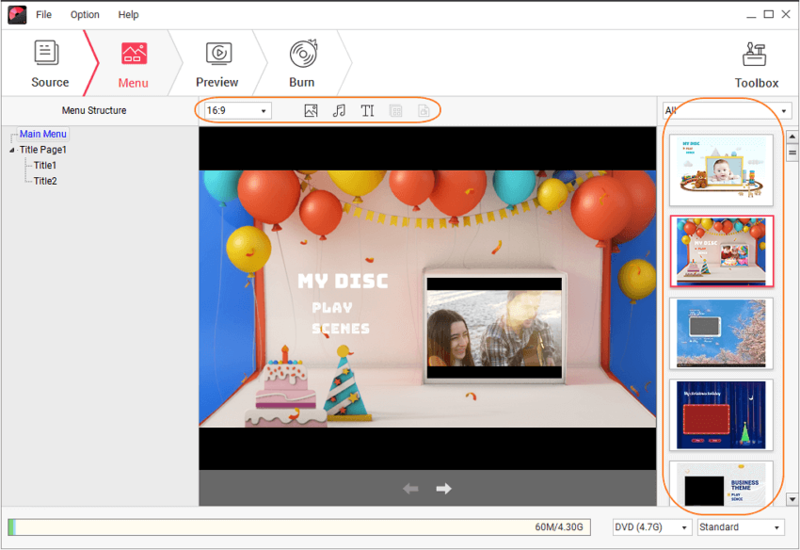 · Burn MPEG2 videos to DVD with real-time preview and super fast speed. 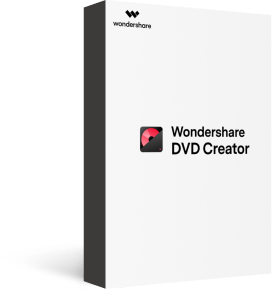 Download, install and launch Wondershare DVD Creator on your PC.Select Create a DVD Video Disc option from the initial interface to burn MPEG2 to DVD. Step 2 Add and edit MPEG2 videos on DVD Creator. Click the + button to search and add your desired MPEG2 videos present on your computer. You can also directly drag and drop the MPEG2 files to the interface. All added videos will be displayed as thumbnails at the left panel. Click the pencil-like icon on the video thumbnail and the Video Editor window will open. 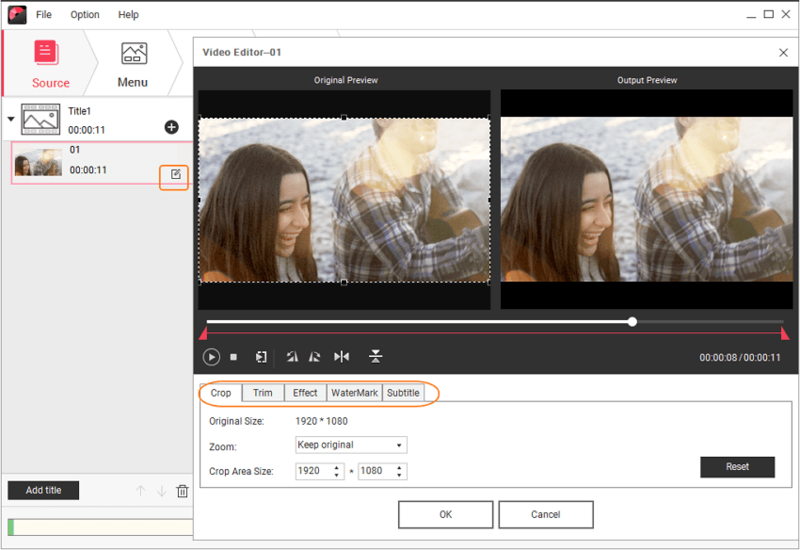 Make MPEG2 video customization here such as crop, trim, rotate, apply effects, add subtitle, and other functions. Step 3 Customize DVD menu template for MPEG2 videos. Select a DVD menu template design from the right panel under the Menu tab. 100+ different styles are provided here like Sports, Movie, Travel, Family Life and more. The icons upon the active window allow you to customize your menu further with functions of adjusting aspect ratio, changing background image or music, creating chapters, and editing text. Step 4 Preview created DVD and convert MPEG2 to DVD. Move to Preview tab to check your created disc. Go back to make needed adjustments if you're not satisfied with it. Switch to Burn tab and choose Burn to disc option from the interface. Finish Burn Settings it asked and click Burn button to start burning MPEG2 videos to DVD within a few minutes. After burning process has finished, you can play the DVD and watch MPEG2 videos on your TV easily and clearly. So you can burn MPEG2 to DVD Mac and Windows in simple and easy steps using Wondershare DVD Creator. Get your MPEG2 videos to DVD with steps from now on!